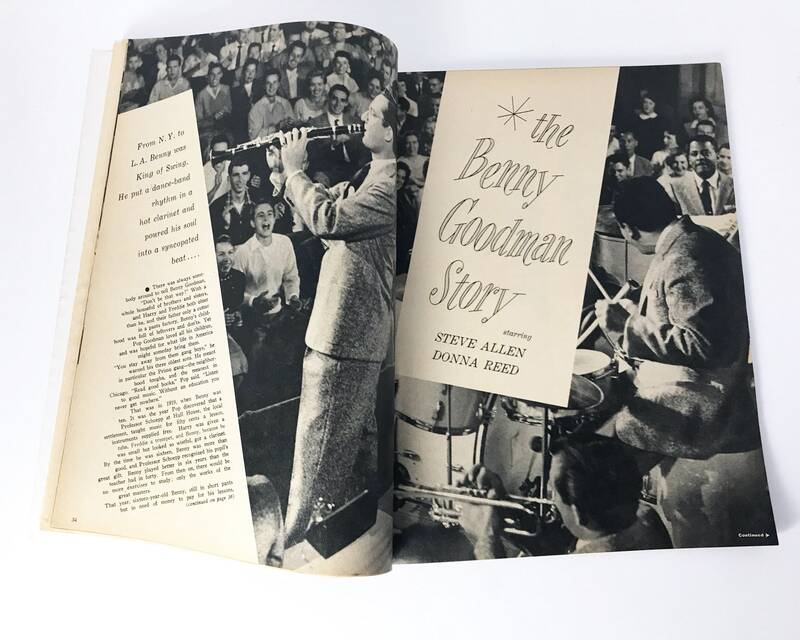 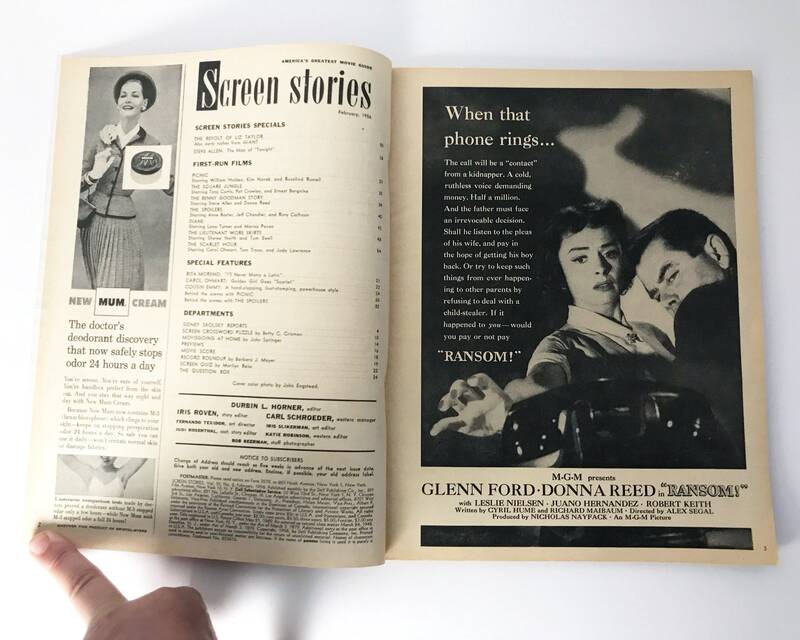 Nice copy of Screen Stories Magazine, a popular movie magazine featuring movie short stories, ads, gossip, and lots and lots of movie stars! 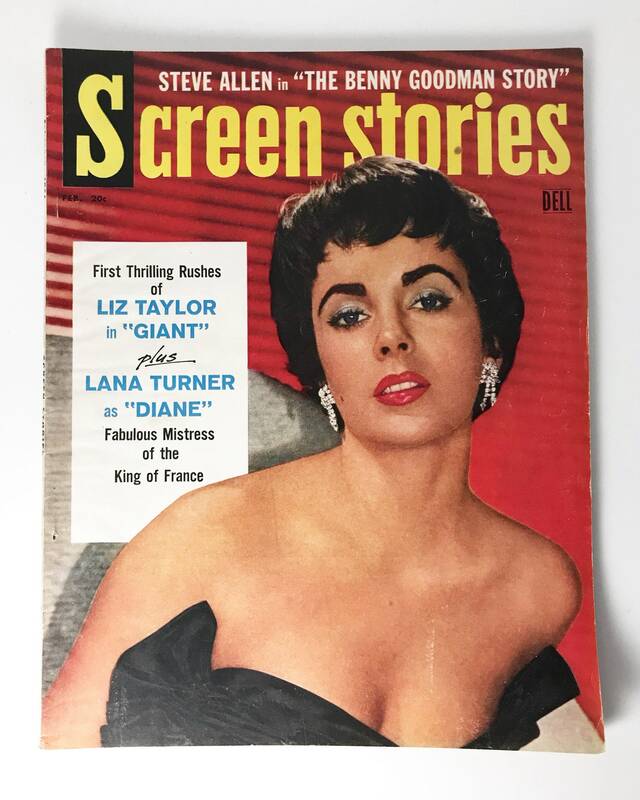 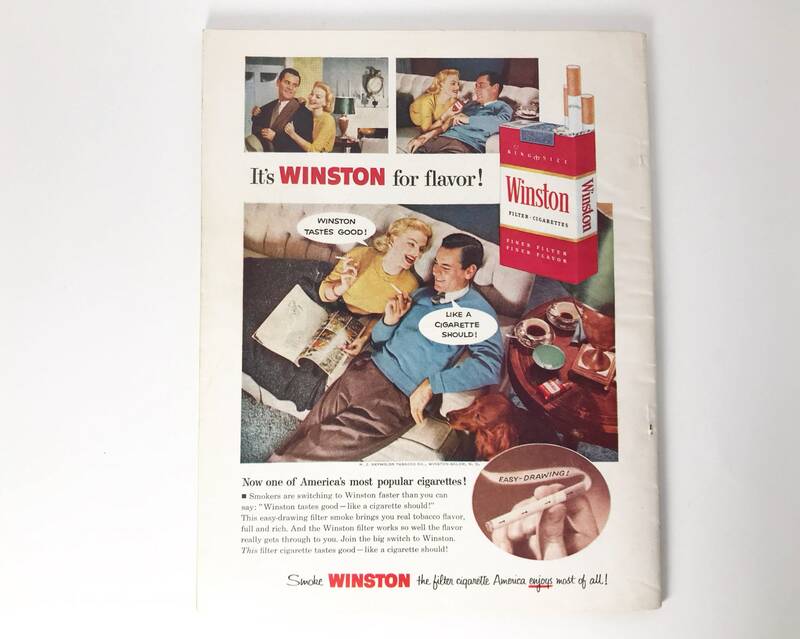 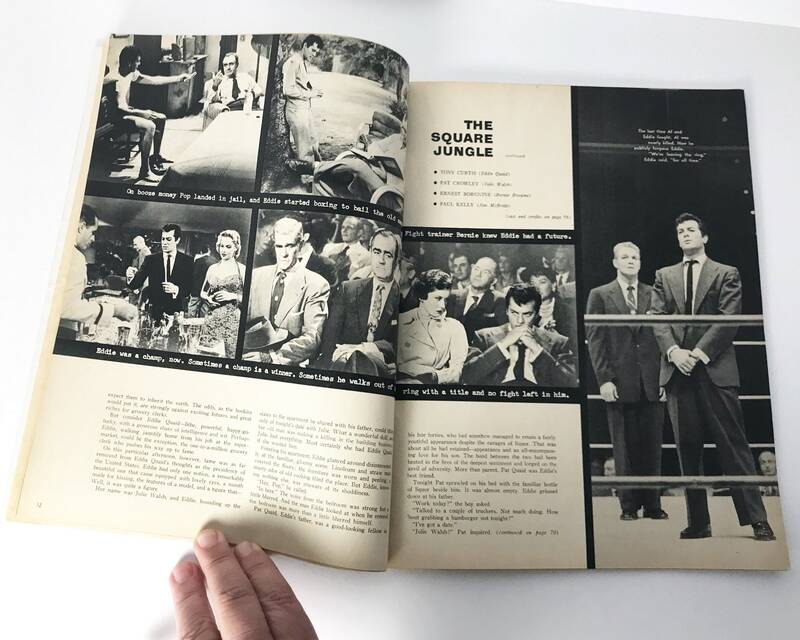 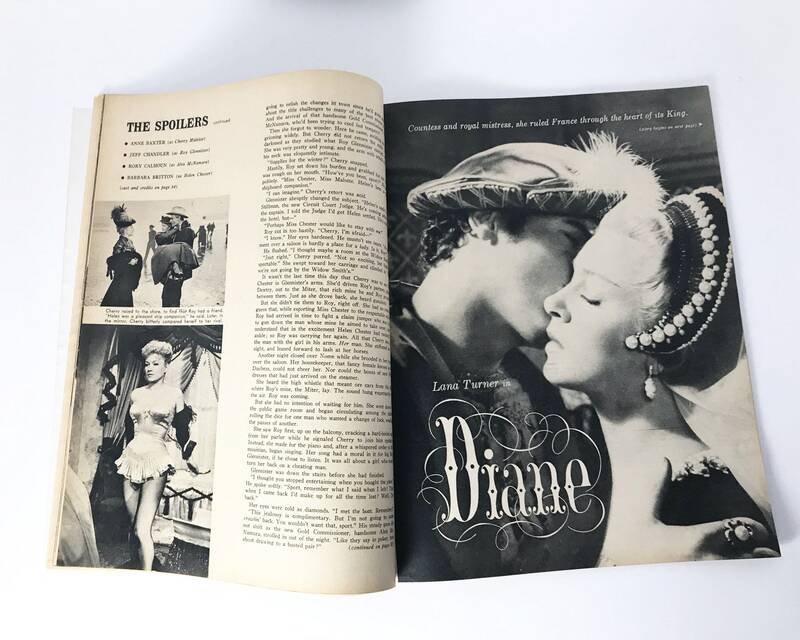 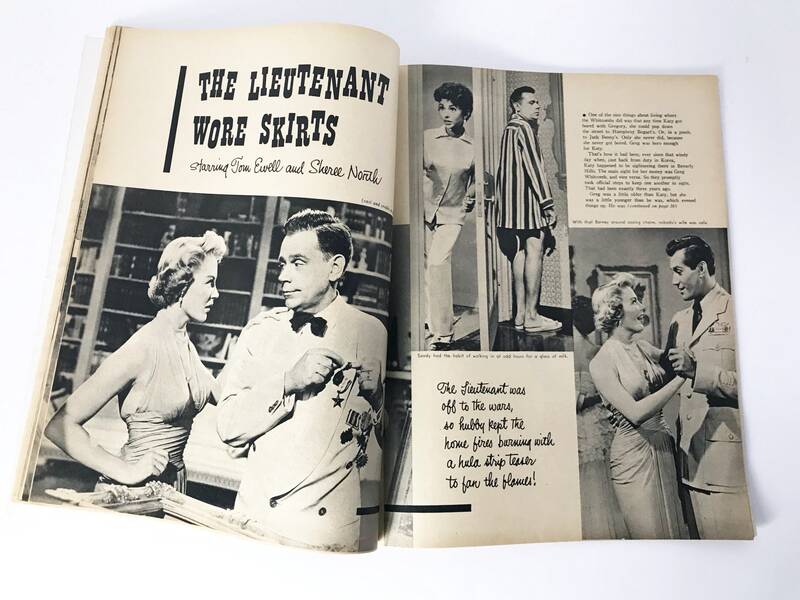 This is the Feb 1956 issue with Liz Taylor in "Giant" on the cover, and features movies such as "Diane" starring Lana Turner, Steve Allen in "The Benny Goodman Story", Tony Curtis in "The Square Jungle", and William Holden and Kim Novak in "Picnic". 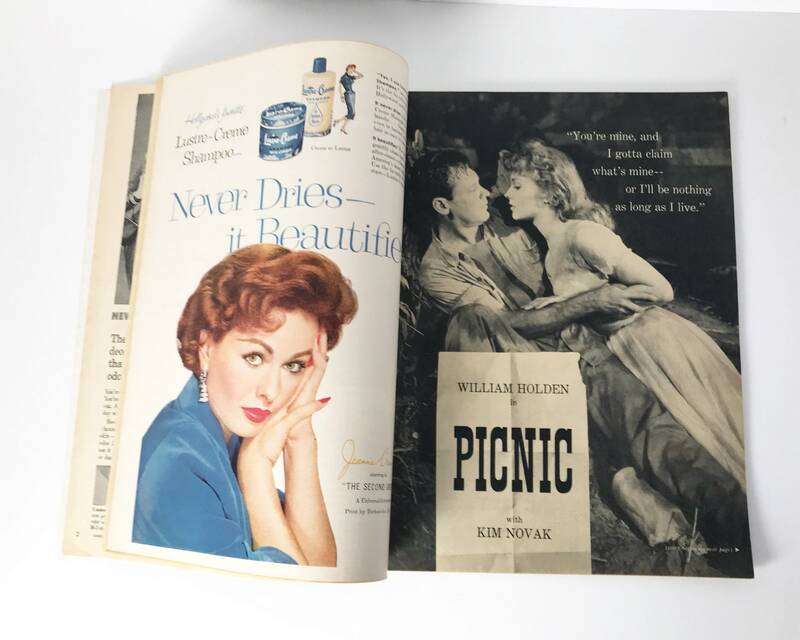 Sadly many of these magazines were mutilated for their covers and movie ads. 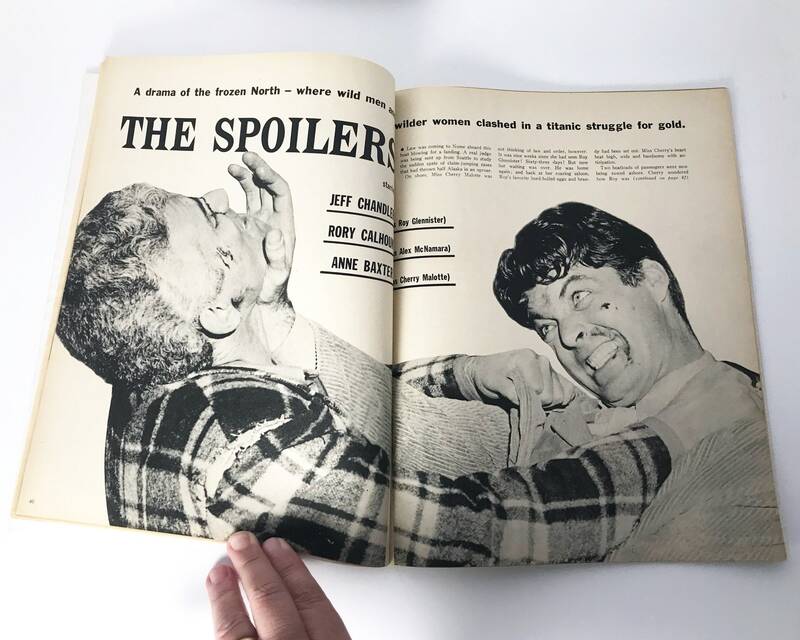 This magazine is intact. 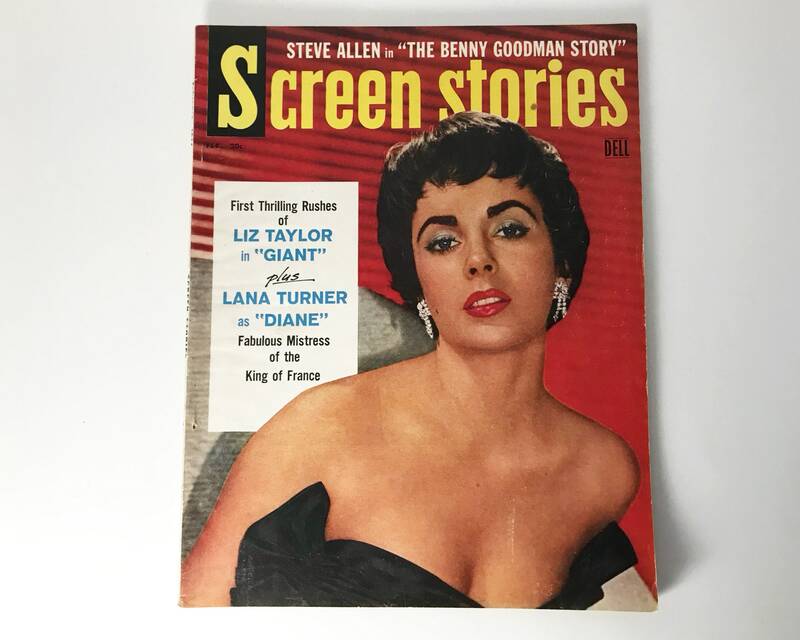 CONDITION: Very good with just slight wear and tanning typical of magazines of this age.